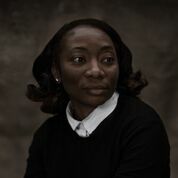 Melatu-Uche Okorie was born in Enugu, Nigeria and has been living in Ireland for twelve years. She has an Mphil in creative writing from Trinity College, Dublin. Her work has been published in Dublin: Ten Journeys One Destination, Alms on the Highway (New Writing from the Oscar Wilde Centre), LIT Journal, College Green Magazine. Her debut collection, This Hostel Life, was published in May, 2018. She is currently working on a novel. 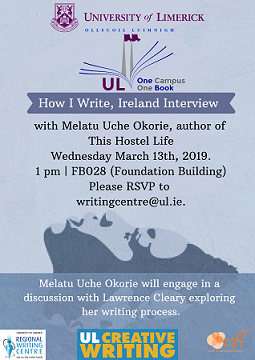 Melatu Uche Okorie visited UL yesterday to give an interview on her writing process to Lawrence Cleary of the Regional Writing Centre. The author of This Hostel Life, who wrote the acclaimed collection of short stories and essays while living in direct provision, fascinated her audience in FB028 with her insights. 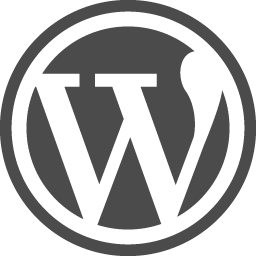 The well-known author Professor Sarah Moore-Fitzgerald introduced Okorie, saying, "This afternoon, we are going to be given many gifts". Okorie then discussed her strategies, inspirations, and philosophies with Cleary, offering us insights on how a high-calibre author crafts her work. The interview began with Cleary asking Okorie about those who have influenced her writing. She named Chinua Achebe, author of the postcolonial classic Things Fall Apart, as well as her mother. What Achebe and Okorie's mother have in common is that they are both storytellers; at the start of the interview, she declared herself a storyteller, rather than a writer. This is why she has been enjoying Anna Burns' novel Milkman: Burns, like her, writes the novel as though she were telling a story. There were some surprises throughout the interview. It came as no shock to hear that the modest Okorie is "not a natural sharer", but the audience was audily taken aback when they heard how she composed her virtuosic story, 'The Egg Broke', in one unbroken rush. Dónal Ryan called it "pristine". Melatu had other unexpected nuggets up her sleeve; she spoke of how she loves Irish-English, and how she wishes more Irish people would write in their own colloquial dialect. 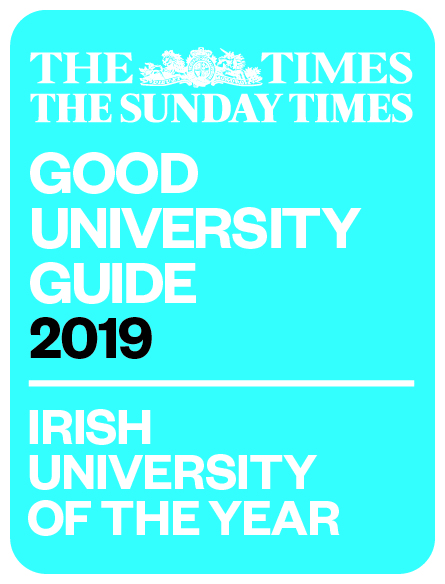 This will no doubt be well-received by budding Irish authors who are, as Okorie herself once was, worried about writing in what she termed "the Queen's English". The interview ended with Okorie accepting questions from the audience, such as why she wrote a collection of short stories instead of a novel. She explained that she has always enjoyed writing short stories much better, since they are short and punchy - in her words, "like bullets". After about fifteen minutes of questions, the interview ended. Okorie stayed for another ten minutes to sign copies of her book and be presented with a commemorative RWC hoodie before rushing off to give a tutorial to the MA in Creative Writing class. 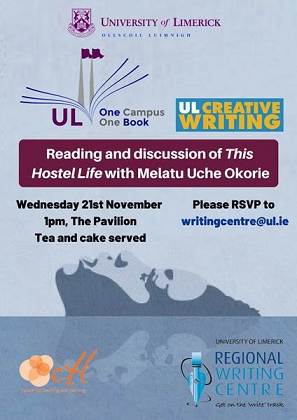 We are delighted to have had Melatu Uche Okorie with us for How I Write Ireland. In addition to being a formidable writer, she is a wonderful woman; she treated the audience with the same grace and attention which she showed the giants of the Irish literary scene who were in attendance. One thing is certain - we have not heard the last of this lady. Best of luck with your future endeavours, Melatu!